…is an super effective whitening shampoo without bleaching but with superior cleaning and whitening effect through a revolutionary formulation that has the ability to clean and moisturize at the same time. Makes a snow white and glossy coat, main and tail without dryness. Removes urine stains, dirt and yellowness. 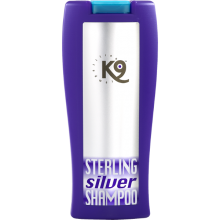 Gives great moisture balance and great shine with K9’s Optical Keratin and D-panthenol complex. Delutable with water up to 1/10. 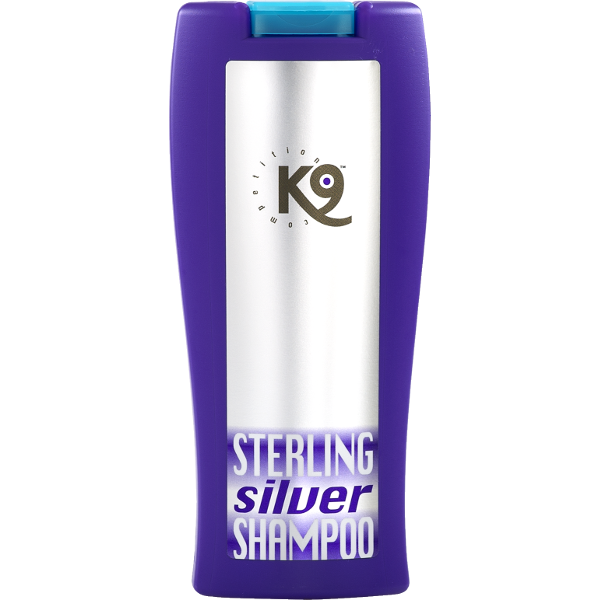 For additional sustainable whiteness and fur quality use K9 Sterling Silver Conditioner. Contains no bleach, can be used with multi colored coats.